Fancy a bit of prancing horse on your handset? Acer has formally announced the Acer Ferrari smartphone – with the 'elegant' device sporting Android 2.1 Eclair and arriving in March 2010. 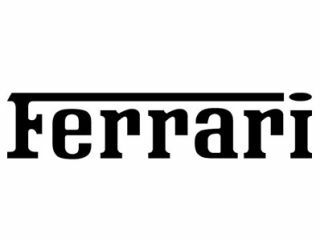 The Ferrari tie-up is hardly news, but the branded phone has now been given a firm release date and, as you would imagine, a big heap of PR about why the two brands are such a perfect fit. "A Ferrari is not just about speed. It is an expression of beauty, power, excitement, pleasure and natural excellence," comments Gianpiero Morbello, Acer Vice President, Marketing and Brand. "From the original concept to the finished product the new smartphone was conceived down to the finest details with the idea of giving a stronger sense of belonging to all Ferrari fans." According to Acer's release the Acer Ferrari smartphone is an 'elegant device offering sensational performance, perfectly in line with the wide segment of users it is addressed to'. The phone should apparently appeal to both the 'trendiest style enthusiasts and techno-geeks'. "We are proud that the Acer sponsorship has been renewed for the next 3 years," comments Stefano Domenicali, Scuderia Ferrari Team Principal. "Thanks to the results we have reached together in these last seven years, we can affirm that Acer products with the Ferrari Scudetto are the most technologically advanced of the entire line up."